Air traffic controllers are using advanced procedures to space aircraft closer together on takeoff and landing at major U.S. airports, making early progress toward a major goal of the NextGen ATC modernization effort—increasing airspace capacity. Michael Huerta, Federal Aviation Administration administrator, described two such procedures at the June 4 meeting of the RTCA NextGen Advisory Committee (NAC): closely spaced parallel operations (CSPO) and equivalent lateral spacing operations (ELSO). The NAC, chaired by Alaska Air Group chairman Bill Ayer, is a high-level government and industry committee representing all segments of aviation that advises the FAA on NextGen implementation. Under CSPO, aircraft pairs arriving at an airport with parallel runways that are separated by 2,500 feet or less are staggered to observe 1.5 nm diagonal separation between leading and trailing aircraft on the separate runways. The FAA expects the procedure will increase runway “throughput” at major airports, especially when bad weather prohibits visual approaches. 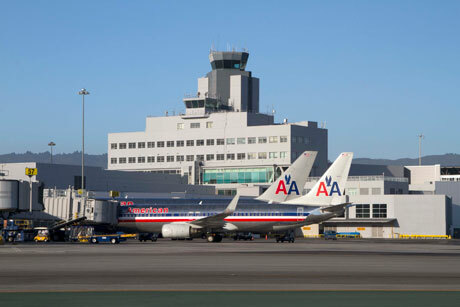 CSPO landings are being conducted at San Francisco International Airport, where parallel runways are separated by just 750 feet, and could be applied at 17 of the 35 largest airports in the U.S., Huerta said. ELSO reduces the minimum angle, or “divergence,” between the departure routes of aircraft on takeoff. The conventional separation standard requires a divergence of 15 degrees between departing flights; by taking advantage of area navigation (Rnav) equipment on board most current airliners, the divergence angle can be reduced by about half. Controllers can space routes more closely together and clear aircraft for takeoff more efficiently. The FAA started using the new separation standard at Atlanta Hartsfield-Jackson International Airport in October 2011. “The precision of NextGen navigation means that we can safely allow jets to take off on headings that are slightly closer together,” Huerta said. “We’ve been using this small change in Atlanta, and we’re seeing an increase of eight to 12 airplanes departing per hour.” The agency estimates that ELSO has also saved airlines $20 million in fuel and reduced waiting times in its first year. Huerta said that ELSO is among 15 updates the FAA plans to incorporate in Order 7110.65, the manual that prescribes air traffic controller standards and procedures. He noted that the agency published the controllers’ manual long before “performance-based” navigation came into use, and it must be updated to take advantage of NextGen procedures.